The unknown subject of this portrait has been identified, inconclusively, as either Gianello della Torre, a clockmaker at the Spanish court, or some member of the Cuccini family. Whether or not the figure is a Knight of Malta has been questioned due to supposed anomalies in the cross sewn onto his clothing, despite the fact that it is an enhanced octagonal cross of the Order of Malta, made of white cloth and worn in the manner stipulated by that order’s founding papal bull of 1153. The painting’s most striking element is the clock from which its name derives. A symbol of the temperance that should be shown by any ruler, it also alludes to the passing of time and the fleeting nature of life. 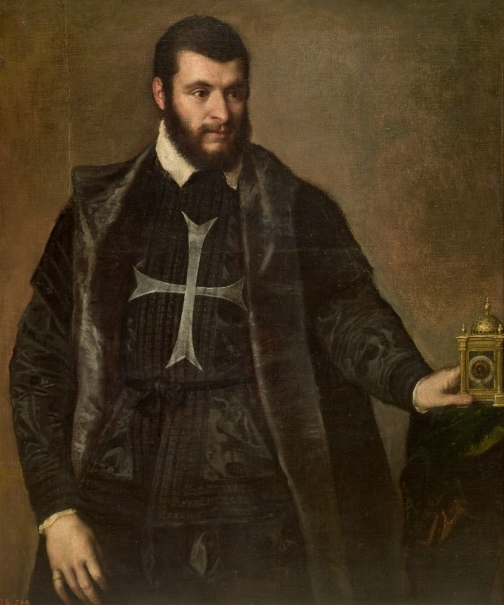 Titian included clocks in portraits of aristocrats such as Cardinal Granvela, 1548 (Nelson-Atkins Museum of Art, Kansas City), Cardinal Crisoforo Madruzzo, 1552 (São Paulo Museum of Art) and Eleonora Gonzaga, Duchess of Urbino, 1538 (Uffizi, Florence). 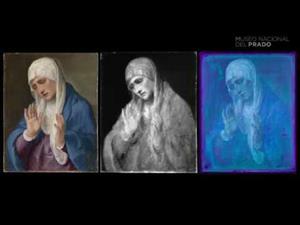 Their similar appearance in all these works suggests they were actually the same timepiece which probably belonged to the painter. Objects can be included in portraits for symbolic reasons, but they can also signal a model’s pastimes (the Dukes of Urbino, for example, collected clocks) or even allude to his or her name. It has been suggested that the gentleman depicted here may have been the writer and translator Giuseppe Horologgi (1520-1576), a member of the Venetian Donde dall’Orologio family -orologio means clock in Italian. 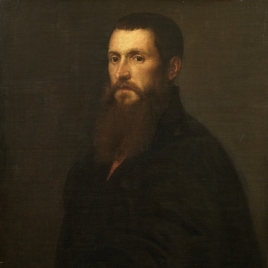 Various circumstances support this theory, including the model’s special relation to the clock (this is the only portrait by Titian in which there is actual physical contact between the model and the object), which might be justified by his last name, and his friendship with Pietro Aretino and, through him, with Titian. However, there is no documentation indicating that Horologgi was a Knight of Malta. Moreover, any search for the gentleman’s identity should consider the provenance of this painting, which Niccolò Ludovisi gave to Philip IV as thanks for the state of Piombino. The Ludovisi collection drew mainly on the former Este de Ferrara collection, as the latter family had a longstanding relationship with Titian and also included various Knights of Malta over the course of the sixteenth century. 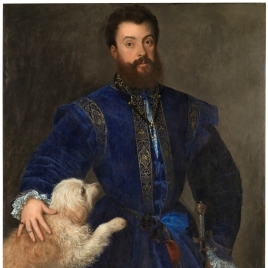 Whoever this nobleman may be, his portrait is one of the few painted by Titian in the 1550s that did not belong to the imperial court. Finally, the presence of the clock may respond to purely compositional needs. X-rays have revealed that the model originally grasped a different object below his waist. 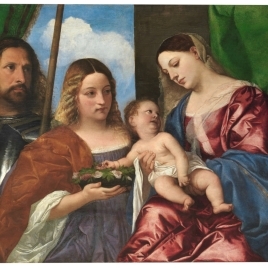 That original position, with both arms practically parallel, may have been too stiff for Titian, who would have added the clock and placed the model’s hand on it. This seems to indicate that the painter was less concerned with the clock’s symbolic dimension than with the desire to bring greater dynamism to the figure, thus tempering the composition’s sense of stasis. Nobleman with a clock, c.1550, is in excellent condition and reveals its maker’s mastery at handling black and reproducing the qualities of clothing. This is clear in the impasto of the model’s white collar, which contrasts with the less brilliant whiteness of the cross, recreating the cloth with which it was made. Height: 122 cm. ; Width: 101 cm. Royal Collection (New Royal Palace, Madrid, "primera sala de la Furriera", 1747, no. 28; New Royal Palace, Madrid, "antecámara de Su Majestad", 1772, no. 28; New Royal Palace, Madrid, "antecámara", 1794, no. 28; New Royal Palace, Madrid, "antecámara", 1814-1818, no. 28). Inventario de Pinturas. 1666, Madrid, 1666. Beroqui, Pedro., Tiziano en el Museo del Prado, BOLETIN DE LA SOCIEDAD ESPAÑOLA DE EXCURSIONES, 35, 1927, pp. 194. Beroqui, Pedro, Tiziano en el Museo del Prado., Hauser y Menet, Madrid, 1946, pp. 168. Gaya Nuño, Juan Antonio., Notas al Catálago del Prado (El Prado disperso e inédito), Boletin de la sociedad española de excursiones, 58, 1954, pp. 115. Menéndez Pidal, Ramón, Historia de España, Espasa-Calpe, Madrid, 1958, pp. 732/ lám.567. 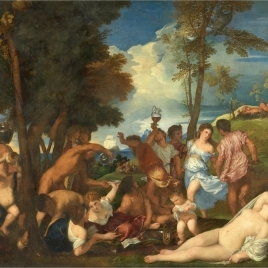 Pallucchini, Rodolfo, Tiziano. Vol. I, G.C.Sansoni, Florencia, 1969, pp. lám.368. Wethey, Harold E.1902-1984, The paintings of Titian, Phaidon, Londres, 1971. Museo Nacional del Prado, Museo del Prado: catálogo de las pinturas, Museo del Prado, Madrid, 1972, pp. 694. Museo Nacional del Prado, Museo del Prado: pintura italiana anterior a 1600, Gredos, Madrid, 1979, pp. 179. Martineau, J., Hope, C, The genius of Venice: 1500-1600, Royal Academy of Arts, Londres, 1983, pp. 226/ lám.82. Sutton, Denis., Venetian Art at the Royal Academy, Apollo, 1984, pp. 88/ lám. 11. 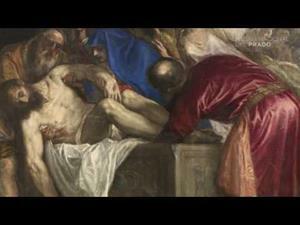 Museo Nacional del Prado, Museo del Prado: catálogo de las pinturas, Museo del Prado, Madrid, 1985, pp. 696-697. Museo Nacional del Prado, Museo del Prado: inventario general de pinturas, Museo del Prado, Espasa Calpe, Madrid, 1990, pp. 208. Walther, Angelo, Tizian, E.A.Seemann Verlag, Leipzig, 1990, pp. 84/ lám.74. Aréchaga y Rodríguez-Pascual, Carmen de., El caballero del Reloj, por Tiziano. ¿Un caballero desconocido?, Cuadernos monográficos del Instituto de Historia y Cultura Naval, 1994, pp. 63-69. 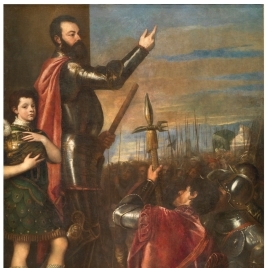 Checa Cremades, Fernando, Tiziano y la monarquía hispánica: usos y funciones de la pintura veneciana en España (siglos XVI y XVII), Nerea, Madrid, 1994, pp. 272, n. 49. 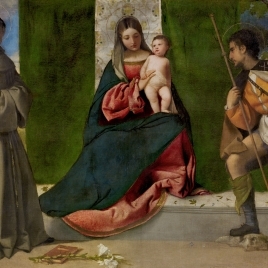 Checa Cremades, Fernando, De Tiziano a Bassano. Maestros Venecianos del Museo de Prado, Museu Nacional D'Art de Catalunya, Barcelona, 1997, pp. 62-63. 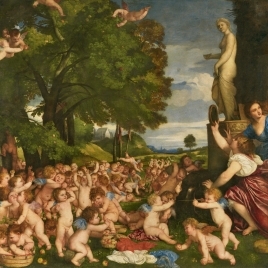 Museo Nacional del Prado, Pintura italiana del Renacimiento: guía, Museo del Prado, Aldeasa, Madrid, 1999, pp. 198. 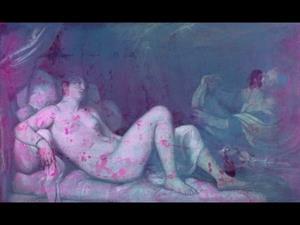 Falomir Faus, Miguel1966-, Tiziano, Museo Nacional del Prado, Madrid, 2003, pp. 204. Titien. Le pouvoir en face, Skira, Milán, 2006, pp. 182/ nº43. Tiziano e il ritratto de corte da Raffaello a Carraci, Electa Napoli, Nápoles, 2006. O´Donnell y Duque de Estrada, Hugo, La Orden de Malta en las jornadas del Instituto de historia y cultura naval. En La Orden de Malta, la Mar y la Armada (III), Cuadernos monográficos del Instituto de Historia y Cultura Naval, 2011, pp. 13- 24 . 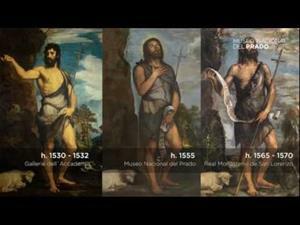 Falomir Faus, M., Titian 'Nobleman with a clock' En:, Italian masterpieces from Spain's royal court, Museo del Prado, National Gallery of Victoria Thames & Hudson, 2014, pp. 76. Walter, Ingeborg, Tre (o quattro) ritratti 'fiorentini' di Tiziano, Venezia cinquecento, 48 luglio-dicembre, 2014, pp. 27-44 [34-41 f.4]. Inv. Felipe V, Palacio Nuevo, 1747. Núm. 28. Inv. Carlos III, Palacio Nuevo, 1772. Núm. 28. Antecamara de S. M. [...]  28 / Otro retrato de vn hombre con vna cruz blanca en medio del pecho y en la mano izquierda vn relox de sobre mesa de vara y media de alto y vara y quarta de ancho original de Ticiano. Inv. Testamentaría Carlos III, Palacio Nuevo, 1794. Núm. 28. Inv. Fernando VII, Palacio Nuevo, 1814-1818. Núm. 28. Catálogo Museo del Prado, 1854-1858. Núm. 740. Inv. Real Museo, 1857. Núm. 740. 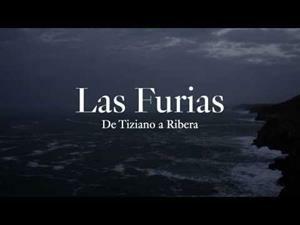 Tiziano. / 740. Retrato de un caballero de san Juan de Malta. / Tiene barba, cabellos y vestido negros; la mano izquierda sobre un relox que esta encima de una mesa. (figura de medio cuerpo). / Alto 4 pies, 4 pulg, 6 lin; ancho 3 pies, 7 pulg, 6 lin. Catálogo Museo del Prado, 1872-1907. Núm. 463. Catálogo Museo del Prado, 1910. Núm. 412. Catálogo Museo del Prado, 1942-1996. Núm. 412. Tiziano Vecellio. L'Europe du pouvoir?. Les cours d'Europe?